The new one is hi-larious. Good stuff. what'd you do to emprouden the badge? Bad memory now. Was involved in evacuating most of the residents at work due to a fire starting in one of the rooms. Ended up evacuating two units and having to go through the smoke to get them out. did not get the stand down until 0530 on saturday morning after it started at 0045. unfortunatly there was one fatality the resident recived 70-75% burns and died on saturday afternoon. Sorry to hear that man. That is horrible. Sorry about the mistaken Identity thing. Don't I look silly . Well, in anime, you see... targeted to youngsters... sometimes these things are complicated... the culture of Japan is very different.. and um... nevermind. Isn't funny how whenever someone tries to explain anime or manga they end up sounding like a retarded pervert ? Seriously though what is wrong with Japanese people? That sounds racist - it's not supposed to be. But the question still stands! ...you haven't answered the question!! You're still asking it! Have I revealed my age on this forum yet? I'm, uh, 15. So it's totally okay for me to dig the underage crowd. Believe? That implies I have some stake in the truth. But I'm saying, if he claims to be a certain age, he might as well back it up in the place people are going to check. Or, you know, at least not have a conflicting age there. I'm still not clear on the difference between a geek and a nerd, but I'm pretty sure I'm somewhat both, but not entirely either. I think it's slightly better to be a geek. It seems to hold more of a career-related connotation. Like I think you could put it on a resume. But they both can be used as positive terms nowadays, which is great. i would call you FFFFFFFRRRRRRRRIIIIIIIIIIIEEEEEEEENNNNNNNNDDDDDDDD!!!!!!! Another popular one is they are the same but the geek has backround, for example. 2 people good equally good at computers, but one went to college for it. Doesn't work with every scenario though. Ha, it's 7-8-11-8-8-8-7. Pozf, you fail at counting. 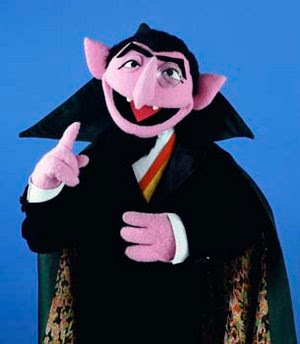 THE COUNT IS NOT PLEASED! I have an extremely good reason! I just realized I don't have green stars outside Hall of Games. awww you are not a mod in here so jsut a mere mrotal like the rest of us. This past weekend I met a girl who is fully 21 and doesn't look a day over 12. I was not, however, attracted to her.